I was given a voucher to use towards a meal in exchange for an honest JRDN at Tower 23 review. All opinions are my own based on my experience dining with my family. 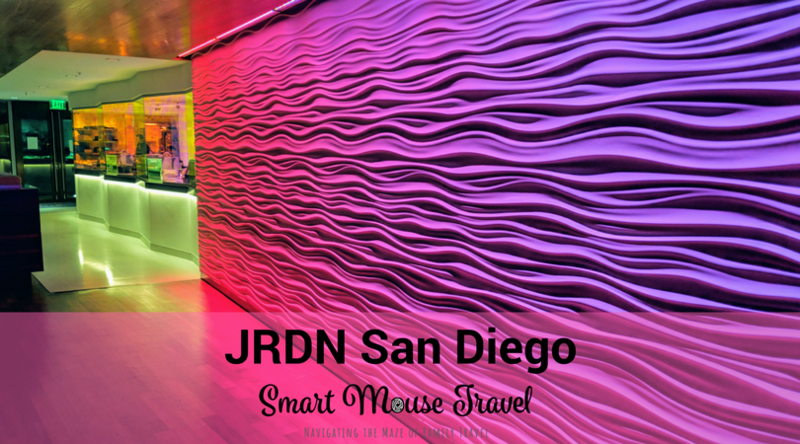 JRDN (pronounced “Jordan”) is the signature restaurant of Tower 23 Hotel in San Diego. JRDN is located on the main floor of the hotel with expansive views of the Pacific Ocean. Prior to our most recent trip to San Diego, I had been anxiously keeping track of the JRDN remodel via the Tower 23 Instagram account. We were fortunate that the re-imagined JRDN at Tower 23 opened just a few days before our trip. Immediately when you enter JRDN, a modern bar and lounge area with views of the ocean greet you. Off to the side, gorgeous multi-color glass panels highlight an extensive raw bar and sushi area where delicacies are prepared for all to see. The main JRDN dining room is just past the lounge. The dining room has slide-away accordion doors that open wide for stunning views of the Pacific Ocean when weather permits. On cooler days the glass doors offer minimally obstructed views. The best seat at JRDN has to be the glass-walled outdoor area where there is very little to impede your view of the stunning water. When the weather is cool (by San Diego standards) several warming torches throughout the outdoor seating area keep diners comfortable. JRDN serves lunch and dinner seven days a week. Breakfast is available Monday through Friday, and a very popular brunch option is served on weekends. There is also a happy hour option Monday through Friday with several drink specials. The JRDN menu is broken into three sections: raw bar/sushi, shareable plates, and entrees. Our server informed us that JRDN serves the food a little differently from other restaurants. The food preparation is broken into totally distinct raw and hot kitchens. Once a meal is prepared in the hot kitchen it is brought directly to the table for the freshest possible meal experience. This means that on occasion entrees for guests may be brought out at different times. Our server informed us that meals could be held and brought together if bringing them separately was undesirable. Although we did not use the kids’ menu, it was nice that there were several kid-friendly meal options. The kids’ menu for JRDN at Tower 23 had burgers, chicken fingers, quesadillas, mac and cheese, and fish sticks available for families with picky eaters. We decided to start our meal with a fresh take on bacon wrapped scallops. The “bacon un-wrapped scallops” shareable plate started our meal off right and left us excited for the rest. In the center of the dish was a large piece of braised slab bacon. 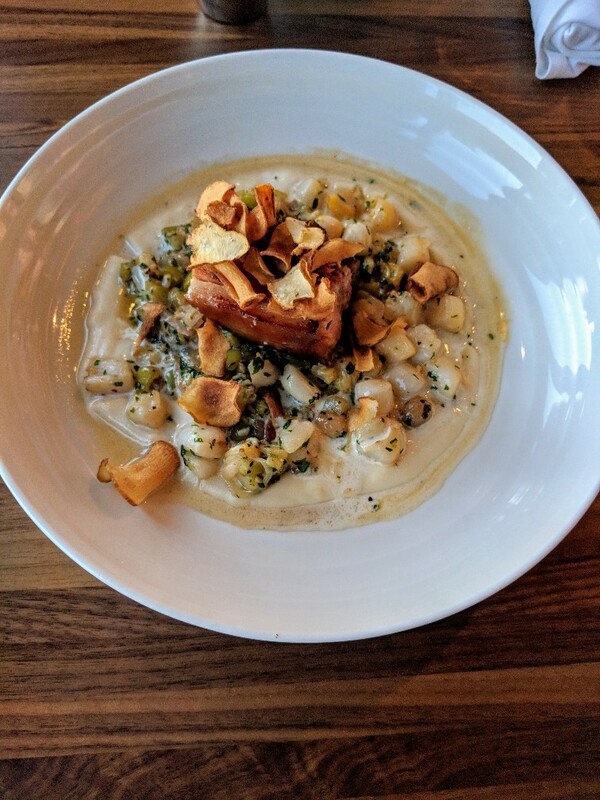 The smoky bacon was on a bed of golden raisin-tomatillo pico de gallo with cauliflower puree and perfectly bite sized pieces of scallop. I was unsure how the golden raisins would work with the other ingredients, but it was excellent. The bacon un-wrapped scallop shareable plate was so good that we fought over the last few bites. The next day Elizabeth even told a woman we met at the restaurant all about the delicious braised slab bacon and scallop appetizer. I think Elizabeth’s obvious passion for the dish actually sold the woman on ordering it! We ordered two entrees and shared them since three full entrees would have been too much food. Our final dinner choices were grilled salmon and an 8-ounce prime beef tenderloin. The tenderloin came with a choice of two sides. I let Elizabeth choose the sides: smashed fingerling potatoes and broccolini with miso butter. The steak was prepared to a perfect medium (per my request) with a delicious char on the edges. The fingerling potatoes were seasoned well and had a slight crispness to the skin. I loved the flavor of the miso butter on the broccolini, but prefer my vegetables more firm so I was a little disappointed in the texture. However, the soft texture of the broccolini did not stop me from eating almost all of it. 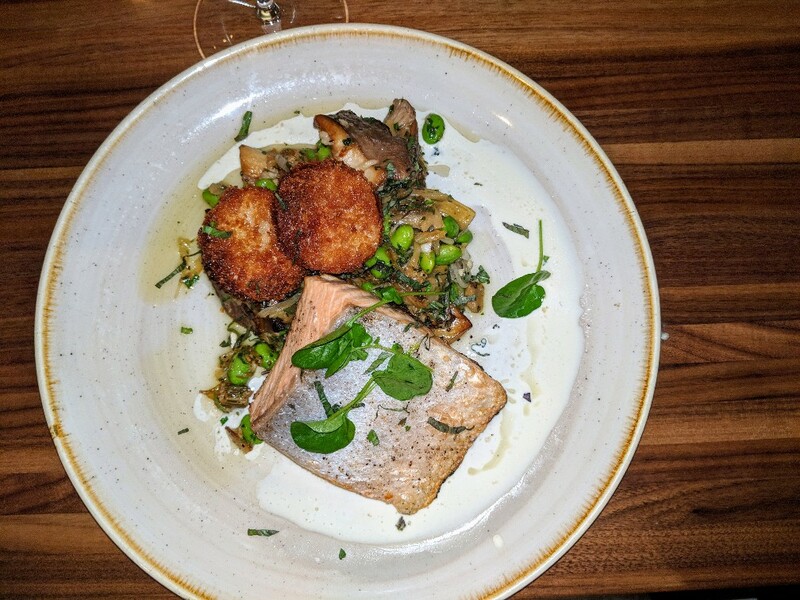 The salmon was prepared with king trumpet mushrooms, caramelized fennel, edamame, crispy fried daikon, and thai basil. The salmon was tender, flaky, and the simple preparation of the fish worked well with the more flavorful bed it was served on. The portion sizes at JRDN were quite generous. 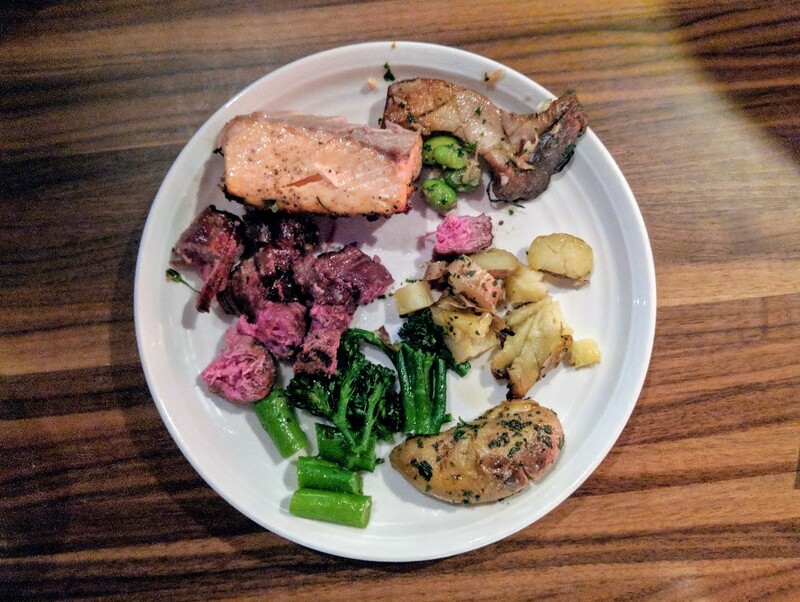 All three of us ate our fill of the bacon un-wrapped scallops, the salmon entree, and filet with sides, but there was still a small amount of food left on our entree plates. And that was despite making the most beautiful kids’ meal plate for Elizabeth I have ever seen. 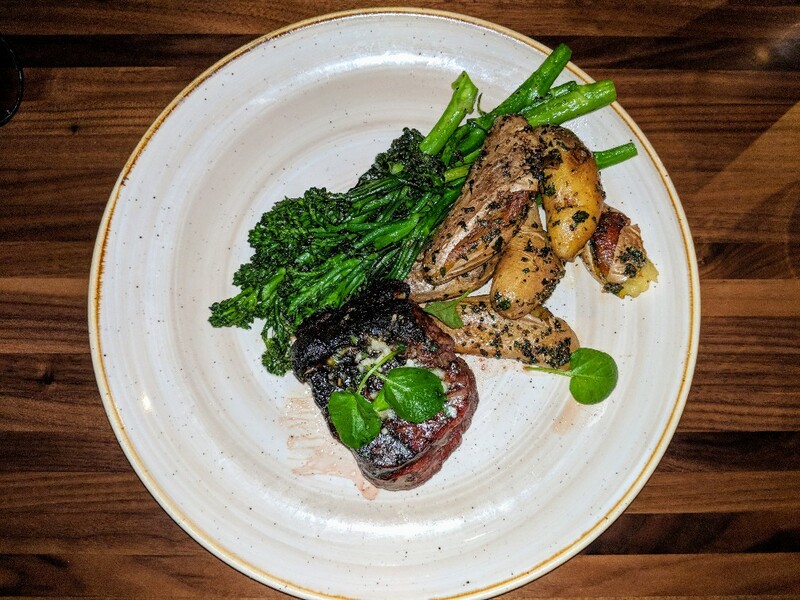 I had been waiting to experience a meal at JRDN at Tower 23 for over a year, and it did not disappoint. 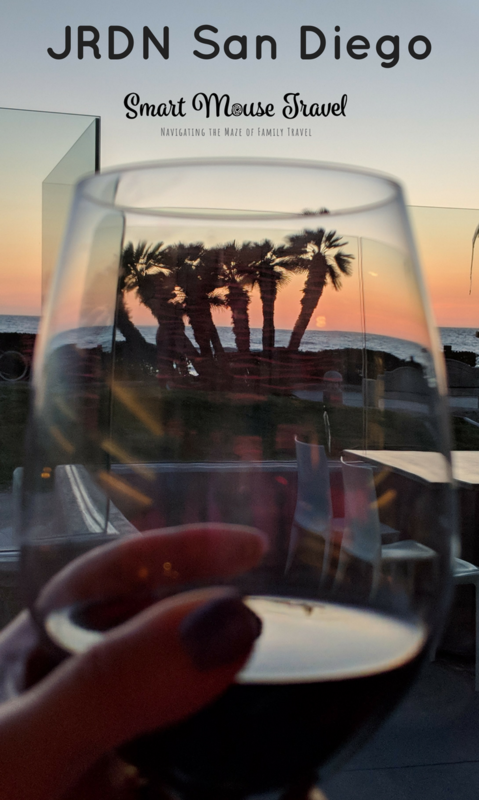 Our dinner reservations were perfectly timed so we could enjoy the sunset during our meal. 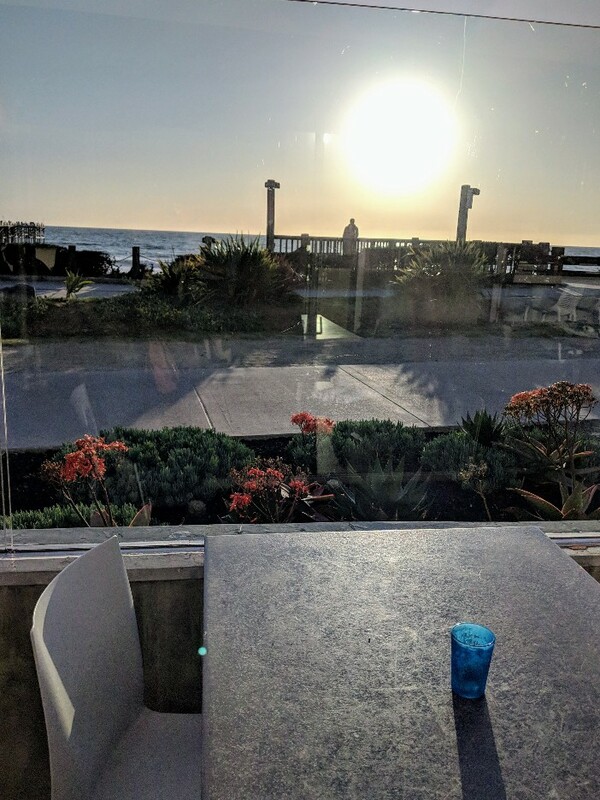 The view of the ocean and sunset on one side and color changing wall on the other provided a great ambiance to our meal. Our chosen appetizer and entrees were all delicious (and generously sized). 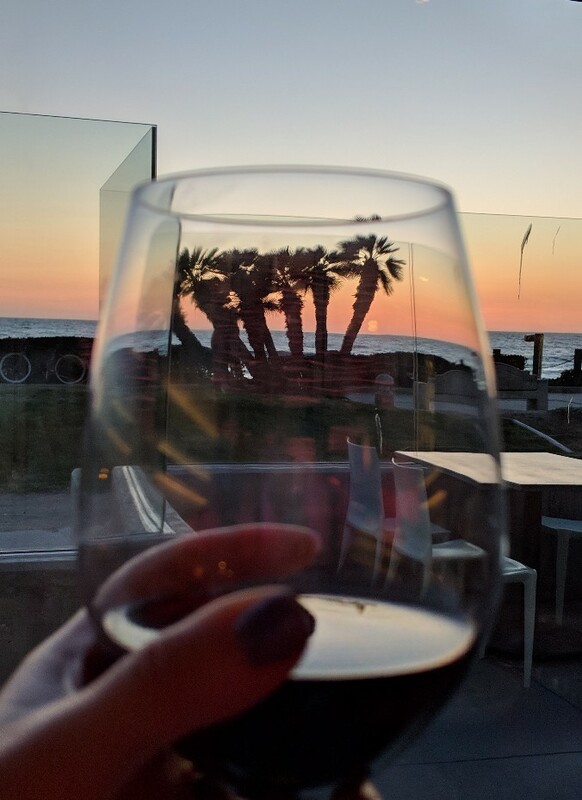 I think JRDN at Tower 23 is a great place to grab a luxurious meal with an unrivaled view in Pacific Beach. Find out more about our stay at Tower 23 or what to do when visiting San Diego. Wow! This looks absolutely amazing! I know where I’m going to eat when we visit San Diego! I love a good meal with a great view! Your daughter is such an adventurous eater! Those bacon unwrapped scallops look so amazing, as does the rest of the food. It’s always nice when a restaurant has an amazing view, but still has incredible food as well. What a lovely place for a meal!